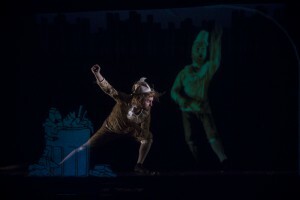 Augmented Pinocchio is a performance of a new genre we call “Augmented Comedy”. 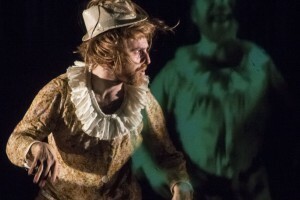 Ironic body language – visual comedy – a tale told also by other, more ethereal bodies, digital representations that are just as present in space as the bodies in the real world, which without requiring physical support for their projection “augment” the perception of the scene. 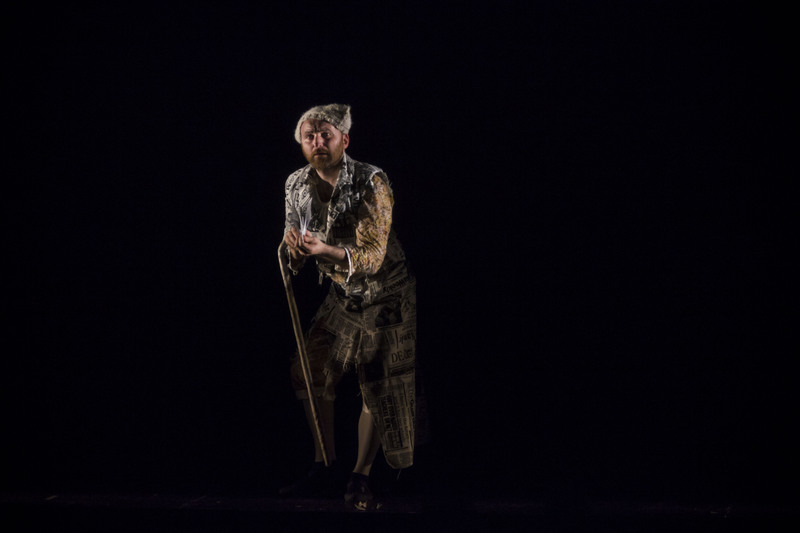 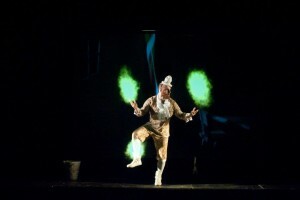 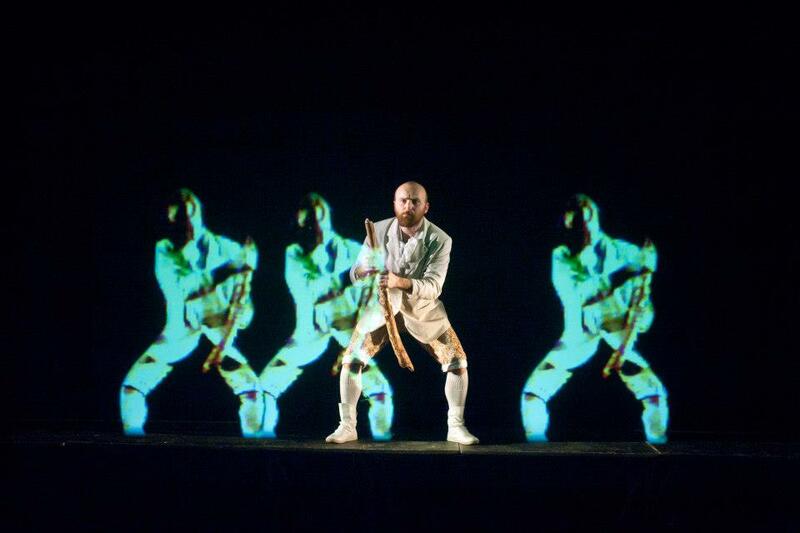 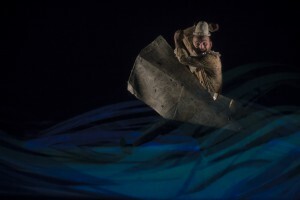 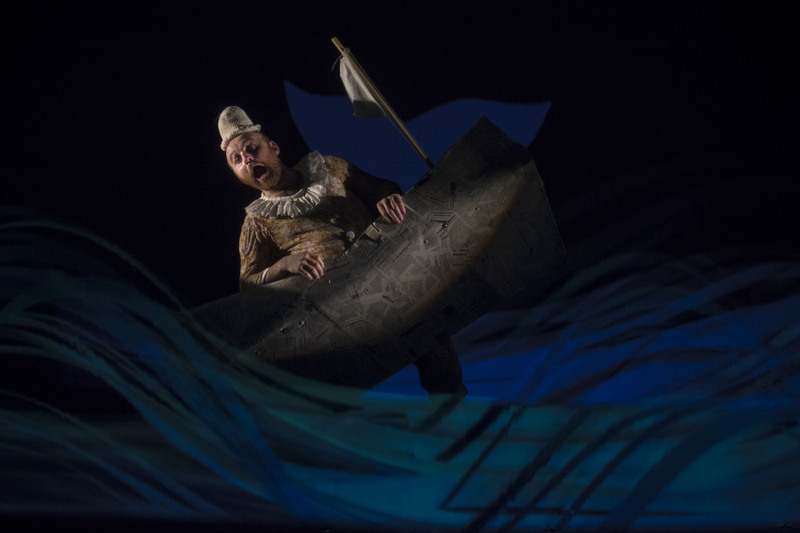 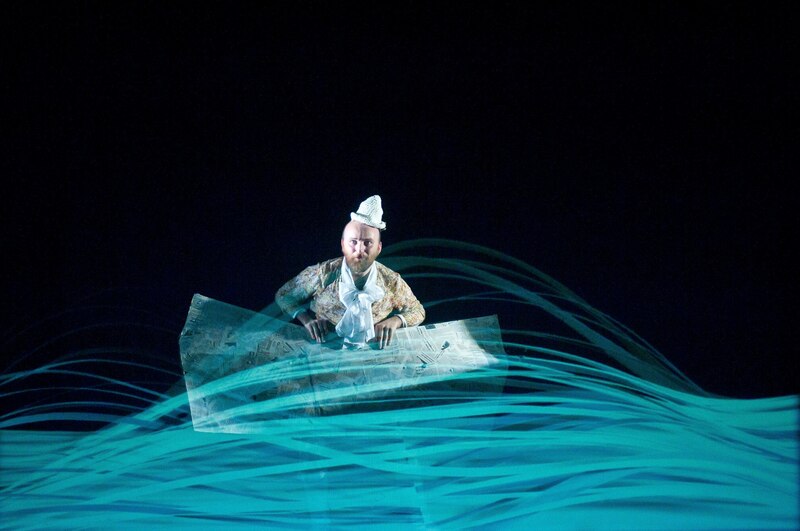 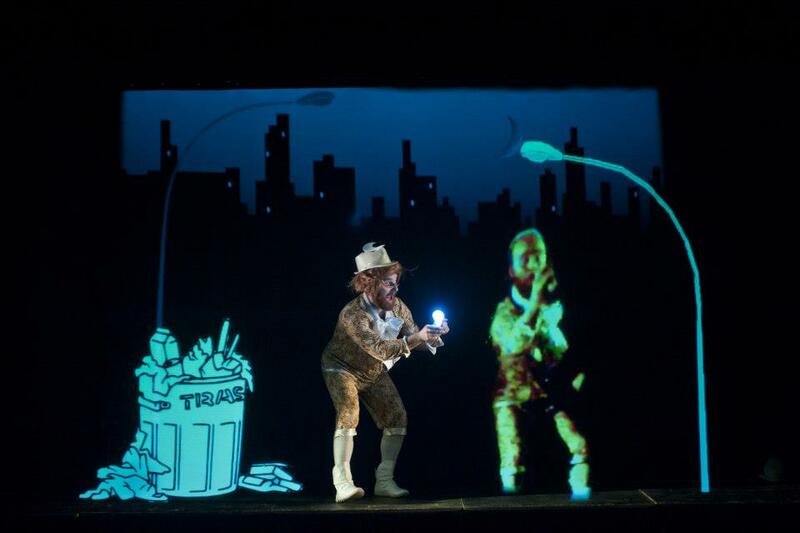 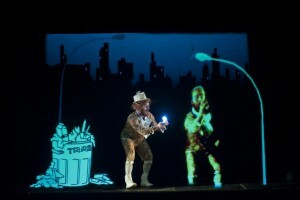 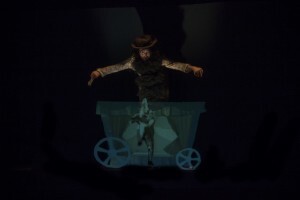 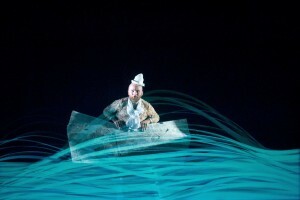 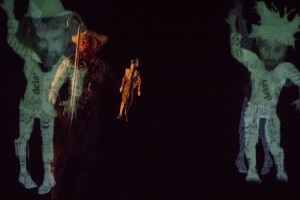 The story’s characters can be portrayed in one scene by the actor, by the actor’s hologram in another, through an unprecedented operation for the theater: the virtual body is able to act and react with the actor in flesh and blood and enables a real, not simulated interactivity, granting a freshness to the stage and set that ushers the spectator into a magic illusory dimension. 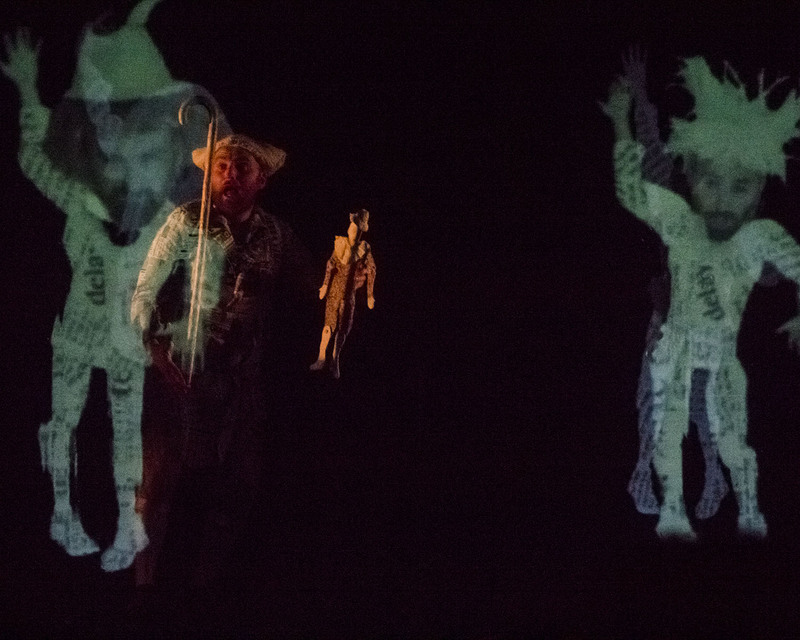 Modern videogame technology permits bodily movements to be plotted in real time; specific software adjusts and positions the virtual sets and characters, placing a powerful tool at the service of story-telling, and not just technological performance for its own sake. 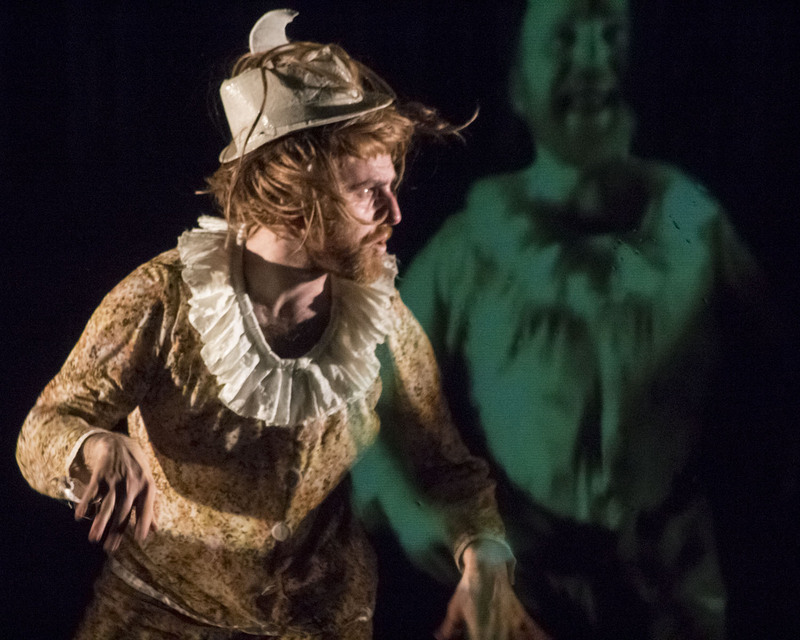 The old pepper ghost theatrical trick was first developed at the start of the 1900 to make actors appear and disappear from the stage as if by magic. 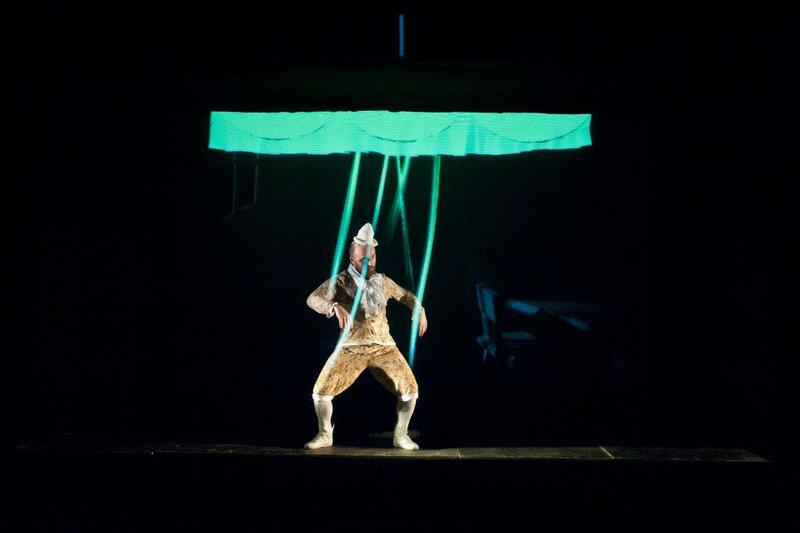 Overhauled and improved by avant-garde multimedia materials and systems, the stage is bare and the technology behind it is nowhere to be seen. The effect is purely for the audience, and the appearance of objects, bodies, and sets onstage takes place through a game of truth and illusion in which the line between the two is very fine indeed. 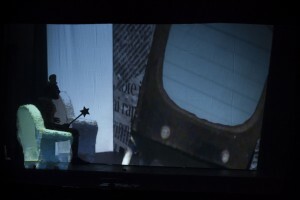 The setting is also linked to the world of paper, story-telling material par excellence, the book of Pinocchio, which becomes the common denominator in the project’s aesthetic definition. 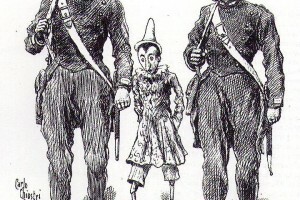 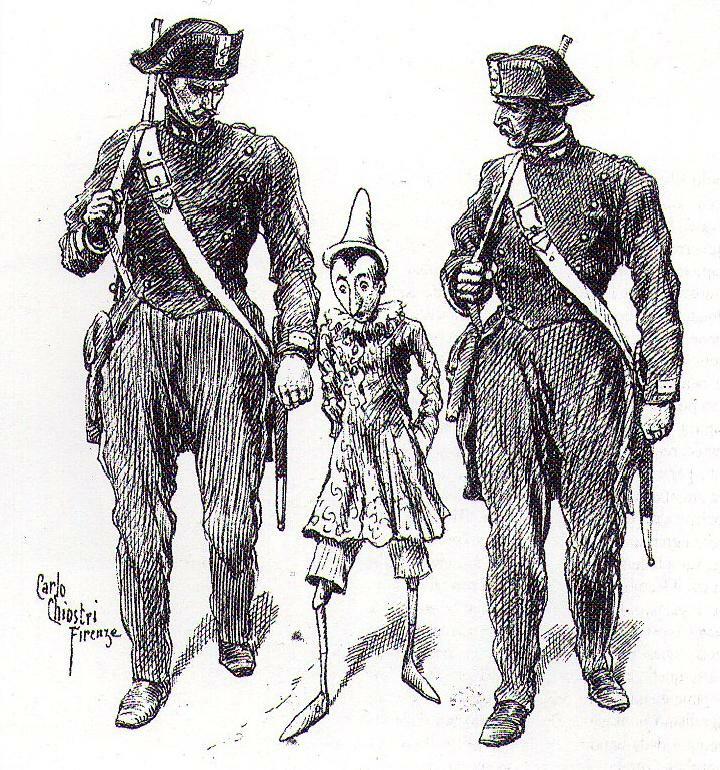 The world is generated by Geppetto, the creator who draws the story’s events and gives life to the pieces of paper/raw material that form his clothing; as the plot thickens, the forms of paper begin gaining dominance over the human dimension, to the point of revealing the essence of the initiation the puppet Pinocchio must receive before he can dash freely through the world and regain his body in flesh and bone.